Abigail Stanley, 4, holds her brother 2-year-old Easton, while her other brother Miken, also 2, slide down the slides at the Love-Hatbox Sports Complex playground Monday. 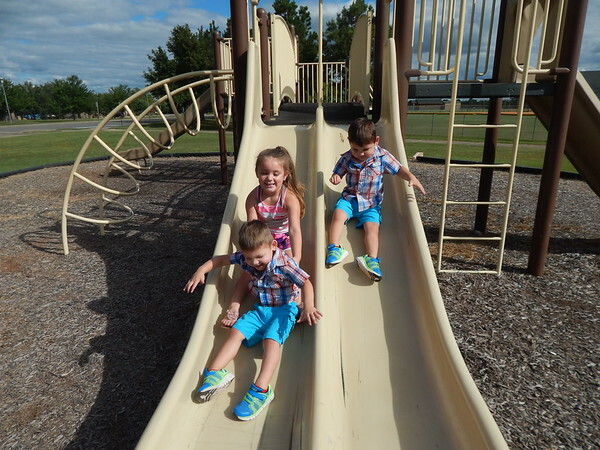 The children were enjoying the pleasant day with their parents, Paige and Raymond Stanley. The family is from Council Hill.